That said, most people will agree that Chamisa has won the political debate on this MDCT succession wrangle. Firstly, because he has managed to secure the backing of the National Council (NC). Which is the highest decision making body outside congress. Secondly, because he seems to have the support of the party structures across the country. Thirdly, although this might seem trivial to some, Chamisa controls Harvest House. In power struggles, the control of the party headquarters and party machinery is quite significant. It is difficult to fathom how Dr Khupe plans to wrestle power from Chamisa when she is not participating in party functions. In my view, her failure to attend party meetings was a big blunder. Now, I agree with Eddie Cross when he said commenting in the daily news, ‘she is fighting a lost battle’. She must bear in mind that even her supporters have self-interest too. With the general elections pending, many of her supporters will stick with Chamisa because they know he controls their keys to parliament and council. With the political battle seemingly in favour of Chamisa, it leaves a new frontier for battle that is the debate on the legality of Chamisa’s appointment. Interestingly, both parties are using the party constitution, one to question and the other to defend his appointment. It is therefore imperative for us to take a look at the MDCT constitution. Article 9.21.1 of the MDCT constitution reads and I quote, ‘The Deputy President assumes the role of Acting President, pending the holding of an Extraordinary Congress which must be held within a year of the death or resignation of the President’. Here the party constitution is not clear on who should take over, since the party has three deputy presidents. Any argument against this ambiguity is frivolous and a sheer waste of time. Article 16.1 reads and I quote, ‘The National Council not withstanding anything contained herein shall have absolute discretion of determining the manner and process of any selection and including the power and making any appointment for any position’. The NC armed with article 16.1 cleared the ambiguity arising from article 9.21.1. Thus, anyone claiming that the party acted against its own constitution is not only trying to mislead but is attempting to discredit Chamisa’s appointment. And that my friends is an exercise in futility. Truth be said, I really like her moral arguments. Surely, no one can dispute that she is an elected official whereas Chamisa and Mudzuri are mere appointees. If natural justice was the arbiter, I am sure, she would be acting president as we speak. Unfortunately this is politics and natural justice is no arbiter. If she has serious political ambitions, then she must realise that her argument has been overtaken by events and must now develop real political strategy. I do feel her frustrations though. Last year, I even penned an article decrying her side-lining within the MDCT. But whining and complaining will only earn her our sympathies. 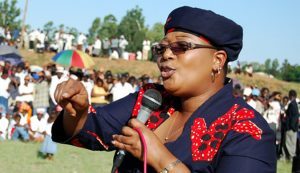 This MDCT succession wrangle is not a moral contest and the sooner she understands this the better for her. Her second moral argument is quite interesting and perhaps even more persuasive. She argues that the succession debate must be resolved by a special elective congress. Some of my friends have ventured to ask even further, ‘if Chamisa is as popular as many want us to believe, why not settle the matter at congress’? Let us remember that during the last MDCT congress, Chamisa was endorsed by all provinces except but one, yet he went on to lose. I am not saying there is a disconnect between the provincial leadership across the country endorsing Chamisa and the party branches. But, I am saying there is a legitimate claim for the party to hold a special elective congress. However that said, I strongly believe that it would be unwise to hold a special elective congress, and here is why. To begin with, I am sure this is public knowledge that the MDCT is financially broke. 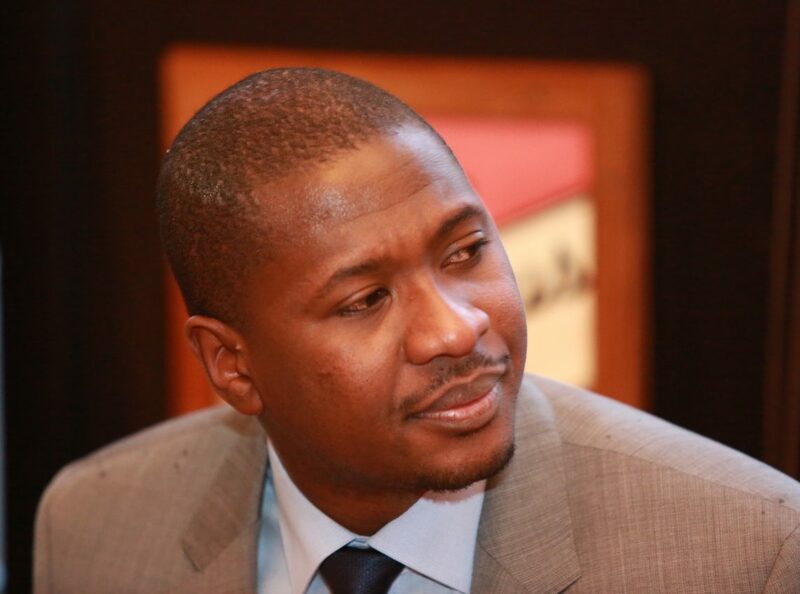 Do not be fooled by Obert Gutu when he says the party can easily raise money to hold a special elective congress. If that is so, why was the party unable to raise the money to pay its own workers last year? Hence, I believe it would be erroneous to focus the scarce resources internally rather than on campaigning in the forthcoming elections. Furthermore, the party and the alliance have less than six months to prepare for the forthcoming national elections. I am not sure if the party has enough time to hold a credible elective congress and still have enough time to campaign effectively. We must also bear in mind that more often than not a congress is divisive. Will the party be able to heal and come together before the general election? In my humble view, the risks are just too much. The party cannot place the interest of those seeking office above the collective interest. In that regard, it is therefore important for all members, to abide by the collective party decisions. No party can survive without discipline. As Hegel says in his anti-individualist theory, ‘everything must depend upon the unity of the universal and the particular. Individual interest must subordinate itself to the collective interest. Whether the relationship has broken beyond repair or not, only mama Khupe and company can answer that. But in my humble view, it is not yet too late reconsider the path they have chosen. Yes, they feel aggrieved but confrontation, indiscipline and anarchy at this juncture, is no-brainer. 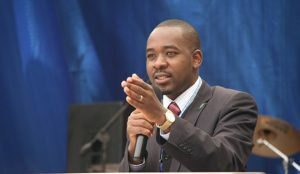 Chamisa has both control of the party machinery and the support of the party structures. If she was a good general, she would retreat because all good generals know when to retreat. By the way retreat does not mean surrender. If she wills, she can mobilise and contest Chamisa at next year’s congress.